This opioid epidemic has really taken a toll on families in Columbus. According to Fox 28, Franklin County Coroner Dr. Anahi Ortiz issued a Carfentanil warning after an increase in overdose deaths were reported. The coroner’s office as reported that three people died of Carfentanil in January 2019. Six people died from Carfentanil in Franklin County in 2018. Franklin County’s warning comes a day after a similar alert was issued in Cuyahoga County. 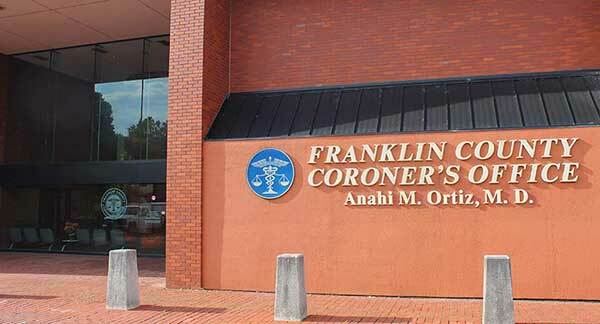 The Franklin County Coroner’s office said Carfentanil is a synthetic opioid and large animal sedative. The drug is said to be extremely potent and unsafe for human use. “If a human takes it, it will just shut down the respiratory system and cause someone to stop breathing,” explained Dr. Ortiz. As a result of the warning, the Franklin County Coroner’s Office is passing along information on naloxone, treatment and recovery homes. People looking for resources on naloxone training can find them at the Ohio Department of Health’s website. Information on naloxone distributors and information on addiction and treatment can be found on Columbus Public Health’s website. And information on recovery homes in central Ohio can be found here.